The Code25, Code49, and Code61 are engineered to be all-in-one controller solutions for comprehensive interfacing and manipulation of virtual instruments, effect plugins, DAWs, and more. 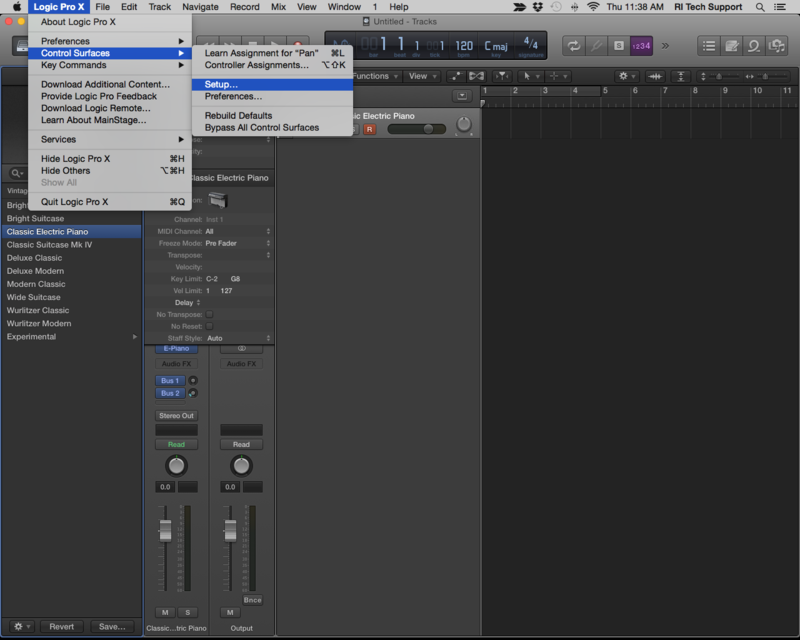 This article walks through how to set up the Code series controller with Logic. The M-Audio Code series keyboard is a class-compliant MIDI device, meaning it does not require additional drivers to connect your Windows or Macintosh computer. Before you begin, connect the M-Audio Code series keyboard to a free USB port on your computer. We recommend using USB ports on the back of the computer or nearest to your power supply. This will provide the most power necessary to the controller for optimum performance. 2. 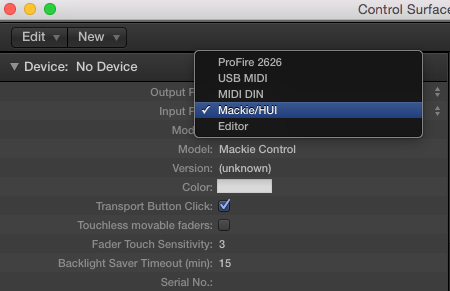 Click on New > Install in the Control Surface Setup window and choose "Mackie Control" from the list. Click Add to select and close the window. 3. Your new device should appear in your Control Surface Setup window. To tell Logic to listen to the correct ports, set Output From and Input From to "Mackie/HUI" or Port 3, depending on how it appears in your system. If you do not see the port setup on the left side of the window, click on View at the top of the screen and click on Show Inspector, then click on your Mackie device icon to view the device settings. Hit Edit on the Code, below the display to enter Edit Mode. Hold down the Shift button and hit the C# key labeled Mackie/Hui until the screen reads "Mackie"
You'll want to also set all the knobs, faders and buttons to send as Mackie as well. To do this, hit the assigned Mode button to the right of each parameter bank until the button lights up green and the screen reads "MACHUI." And that's all! You should now have transport, fader, button and knob control in Logic X. 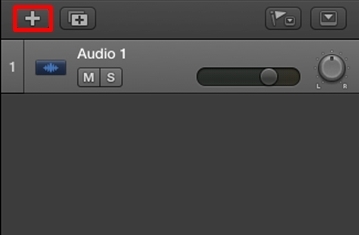 With a project open in Logic Pro X, click on the New Track button to create a new track. In the window that opens, choose Software Instrument and then click on Create. 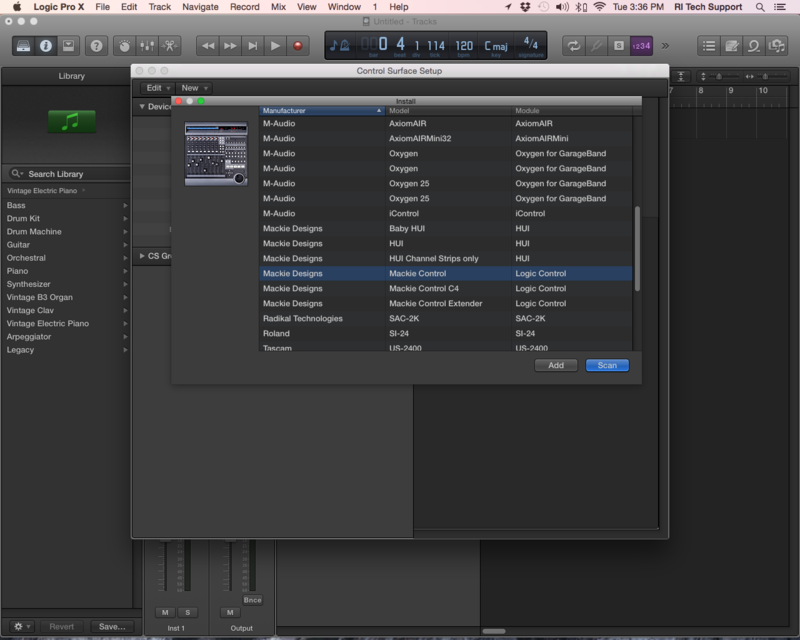 Locate the track column for the instrument track you just created. Scroll your mouse over the track insert button and it will change from the name of the instrument to display various insert controls. 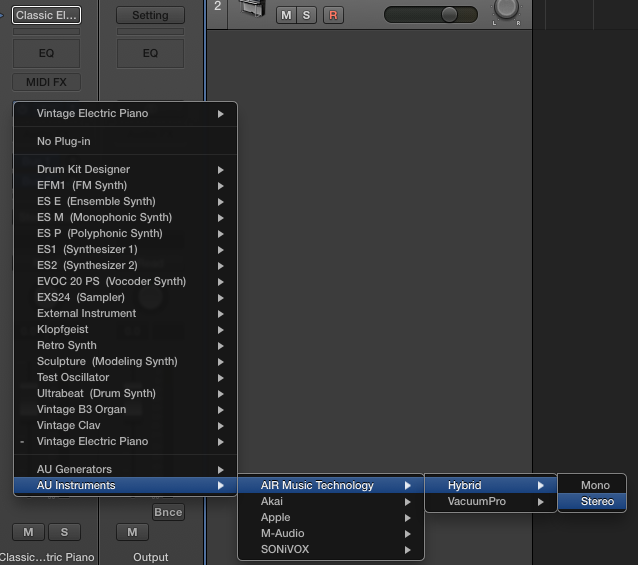 Click on the right-side of the track insert button and choose AU Instruments> AIR Music Technology > Hybrid > Stereo to add Hybrid 3 to the Logic Pro X project. 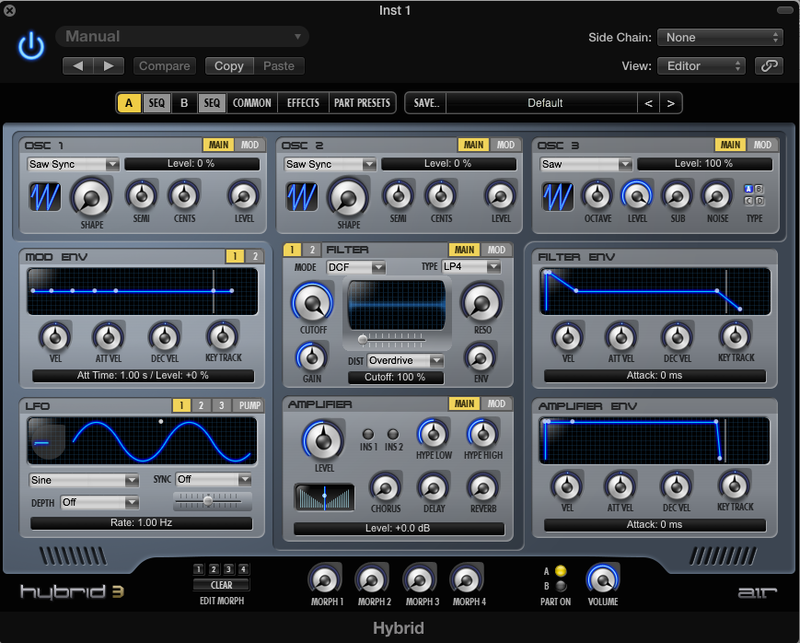 The Hybrid 3 interface will now open.